No case is too large nor too small for our law firm. Ives & Associates has represented several large companies in the Washington, DC area. The firm, for example, recently successfully defended a large high-tech company which was sued for millions of dollars in federal court. Ives & Associates also protects individuals whose rights need defending in smaller, yet no less important cases. 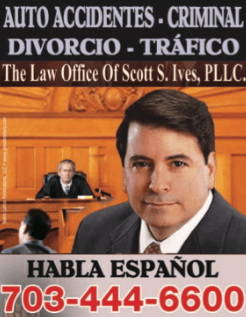 Scott Ives, the principal, in the law firm of Ives & Associates has over twenty years of legal experience. Mr. Ives has clerked for federal judges, and has experience working for the federal government, large corporations, and private law firms. Mr. Ives actively litigates cases in both state and federal court in Virginia, Maryland and the District of Columbia. Mr. Ives placed fourth in the country in a negotiating competition so he knows when to negotiate and when to fight for your rights!